Coffee is my fuel, a reward, treat, source of inspiration, great excuse to socialize - and so full of memories! - What could be a better topic to open my blog with so! 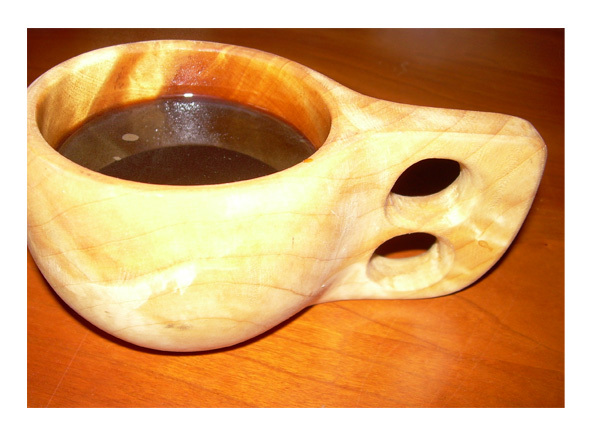 I like my coffee best very hot, black and strong - Southern-European-strong, from 'kuksa' - wooden mug that my Dad crafted from birch for me. 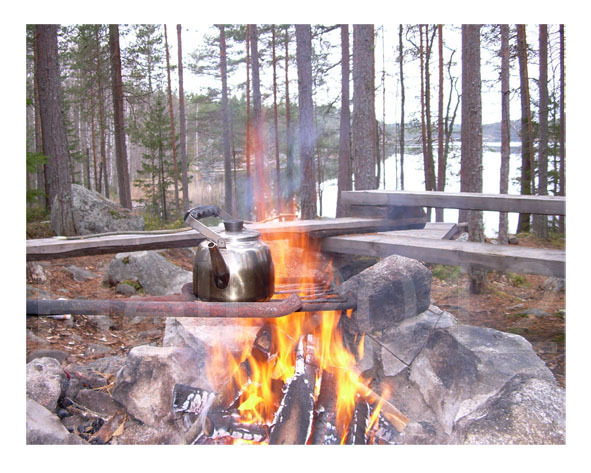 It tastes best outdoors, on an Irish mountain top, at the rest area of French motorway, by the Eastern Finnish skiing track, on the jetty of lakeside log cabin... 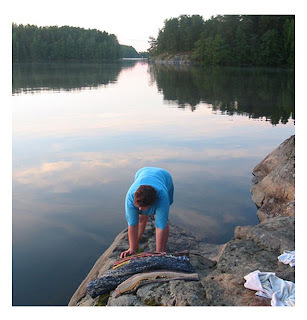 When I was kid, in 80's, on hot summer days of 25 degrees temperature and bright blue skies my whole family used to head to the lake near my Granny's house and we spent the day on smooth, sunny cliffs sunbathing, fishing, swimming and washing rag rugs. 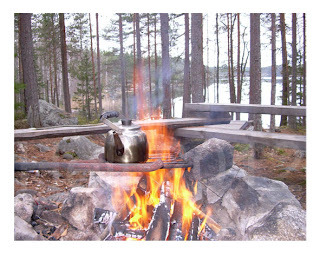 It was very hard work, the brushing the rugs knelt down on the cliff and rinsing them in the lake, but the great reward afterwards, a steaming hot enamel mug full of fresh coffee made on a bonfire and enjoyed black with a cube of sugar and huge home made cinnamon bun just compensated all! But especially lovely a fresh cup of coffee is after completing a challenging tufting project, enjoyed sitting on the bench of sunny garden or at workshop stairs, where the sun makes my eyes squint. 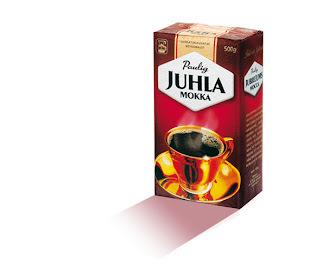 The marriage between crafts people and coffee was also recognized by the advertising people of Juhlamokka, the most popular coffee brand in Finland, some years ago. For several years now they've made TV ads featuring Finnish artisans. Click here to see one of them about a sail maker. Would be cool if an Irish coffee/tea brand could team up with crafts people of Hand Series and make a series of TV ads together - what do you think?